Facing a Davenport dui arrest? Hire the most professional dui lawyers Davenport residents have available. At the law office of Finenbloom, Haenel & Higgins our Davenport dui attorneys have over 30 years of experience defending dui cases. We set the bar high when it comes to defending your rights against the State’s dui charge! When considering which Davenport dui lawyer you wish to hire it helps to understand the possible penalties that you face if convicted of dui. The minimum consequences for a first time Davenport DUI are one year of probation, a $500 fine, 50 public service hours and court ordered DUI School. Your license will also be suspended for a period of at least six months!! That is the absolute minimum penalty. Without proper representation you could also face up to six months in the county jail!! If you blew over a .15 then the fine can increase to $1000 and you could face up to nine months in jail. All for a first offense! If you have multiple Dui offenses, the penalties increase dramatically. A second time DUI has a minimum fine of $1000. If your prior dui was within a five year period you must serve a mandatory 10 days in jail. The maximum sentence can be up to one year. Your license will be suspended for a minimum of one year. But if the prior dui was less than five years ago, your license will be suspended for FIVE YEARS! A third DUI arrest can be charged as a felony, depending on the circumstances and time between arrests. This means you can face up to five years in prison. The fine can be up to $5000! If convicted for a third time dui, under some circumstances, your license can be suspended for up to TEN YEARS!! A fourth DUI is always a felony carrying a maximum jail sentence of five years in prison. If you are convicted your license can be PERMENANTLY REVOKED!! As you can see these penalties are harsh and many of them are mandatory. That is why it is so important to hire a dui lawyer in Davenport to investigate your case and fully explore every defense option available to you. When you hire a dui attorney Davenport arrestees are taking the first step to obtaining the best possible outcome for their situation. When exploring your options for dui attorneys in Davenport you need to consider the attorney’s experience. At Finebloom, Haenel & Higgins our dui attorneys have successfully challenged initial stops, reasons for investigation, probable cause for arrest and breath test results. We have access to experts and the necessary resources to take a case all the way to trial. We want to help you obtain the best result for your particular situation. Call us now at 1-800-FIGHT-IT. Our dui attorneys are available 24/7 to consult with you. Don’t wait for the State to make their move. 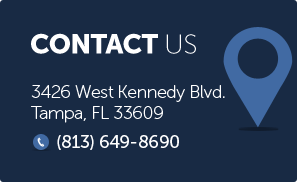 Call us today and let us help you fight your case!